It didn’t have to be, but October was primed to be a letdown after August’s Summer Under the Stars and September’s Pre-Code Fridays on TCM. On the plus side, there are several early talkies playing that I have yet to see and am anxious to get on my DVR, including many 1929-30 rarities. 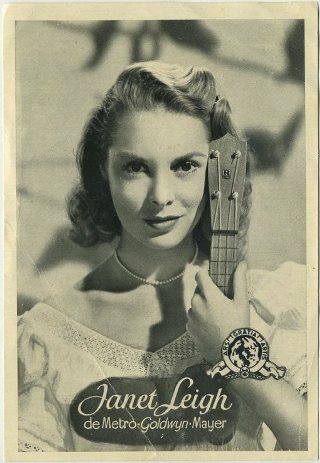 While the career of October’s Star of the Month, Janet Leigh, runs slightly later than range of movies I typically lobby for, she’s an actress that I enjoy, so I can’t complain. She also gives TCM a good reason to roll out Psycho (1960), which they do on October 29. But it’s those scares that are missing for me, specifically early Universal scares. I know that there are rights issues at work when it comes to TCM playing horror classics such as Dracula, Frankenstein, The Invisible Man, and others, but they usually manage to play at least a couple of these favorites throughout October. Nothing this year. I am glad to see a nice quantity of Hammer horror titles playing during the month, though none of those actually air on Halloween. In addition to Janet Leigh, October features marathons of movies featuring Carole Lombard, Laraine Day, Lassie, Constance Bennett, and Jack Carson, with my favorite portion of the month coming in mini-runs of films featuring Richard Dix, Sally Blane, Tom Keene, Rod La Rocque, Lowell Sherman, and others who will be named below. I couldn't get too worked up glancing over the GetTV schedule for October either. More of the same Carole Lombard titles, plus several of the Basil Rathbone-Nigel Bruce Sherlock Holmes entries. You can check out their full schedule for October HERE. While I may not seem as excited as usual over October's offerings on TCM, I somehow managed to type just as much as usual, so I'd better get going with my preview and recommendations. As always, the following is based on TCM's US schedule with all times listed my own local Eastern Time. Evenings in October open with Star of the Month Janet Leigh, great news for her fans as the early start means TCM features Leigh for a total of five Wednesday nights in October! Janet Leigh’s career falls slightly outside my favored time period, but I do have something in the archives for you to read if you happen to be up early on Tuesday, October 2 to catch That Forsyte Woman (1949) at 6:15 am. There are a few Marx Bros. titles squeezed in throughout October, but you can get a pretty good bloc of Groucho between 10:30 am and 6 pm on October 2, when TCM runs a 5-movie birthday marathon. To be completely honest, I had no idea Dennis Morgan had played Biff Grimes until seeing another One Sunday Afternoon remake listed for 6 pm on the second. I’ve been patting myself on the back for my familiarity with Gary Cooper in the part in the 1933 version of a story that is best known on film by its 1941 adaptation, The Strawberry Blonde with James Cagney. My excitement is somewhat tempered by the highlighted IMDb review (”Painfully dull musical remake …”), but my DVR will nevertheless be in action. The Friday Night Spotlight on Africa begins on October 4 with “Bogart in Africa.” While the theme becomes more varied as the month moves forward, it’s a nice excuse for a 4-movie Bogie marathon between 8 pm and 4 am: The African Queen (1951) at 8, Sahara (1943) at 10, Beat the Devil (1953) at midnight, Casablanca (1942), somewhat buried for once, at 2 am. While Dr. Kildare continues in the Saturday morning 10:30 series slot, noontime throughout October means Hammer horror. It begins on October 4 with Peter Cushing and Christopher Lee (who else) in The Mummy (1959). The Saturday Essential on the 4th is Twentieth Century (1934) starring John Barrymore and Carole Lombard. I’ll probably give it another chance, but I’ve never really cared for this one. If you missed it during September’s Pre-Code Fridays, Paul Muni is Scarface (1932) again the following Sunday morning, October 5, at 10 am. Be sure to catch Five Came Back (1939) a little later that afternoon, at 2:30 pm, a movie focused on the interaction between plane crash survivors that features Chester Morris and Lucille Ball. 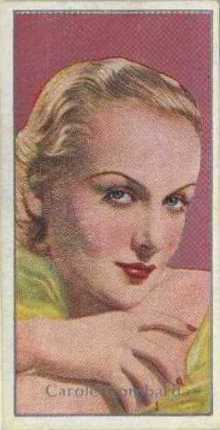 Monday, October 6 features a Carole Lombard birthday celebration during the daytime hours. 8 movies total run between 6 am and 8 pm, including Made for Each Other (1939) at 10:30 am, To Be or Not to Be (1942) following at 12:30 pm, Nothing Sacred (1937) at 4:30 pm, and closing out with the underrated drama In Name Only (1939), co-starring Cary Grant, at 6 pm. I always tend to be a bit hard on Lombard, but I do like all four of those titles. The evening schedule for October 6 is a fascinating collection of 28 animated shorts from pioneering creators and studios including 10 examples of Winsor McKay’s cartoons from the 1910s, 1910s-20s work from Bray Studios, and 1920s and ‘30s releases from Van Beuren Studios. You’ll find more details on TCM’s Back to the Drawing Board page promoting the evening. TCM is billing the theme as “Cinematography by Ted McCord,” but there is a run of five 1931-32 westerns starring Tom Keene between 1:30-6:45 pm on Wednesday, October 8. 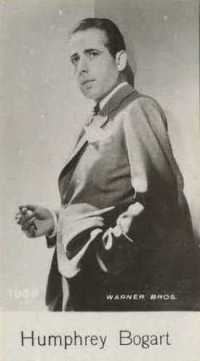 Keene had his start in the 1920s under his real name, George Duryea, and would later work under the name Richard Powers, to try to distance himself from his best known screen name, Tom Keene. As Duryea, he scored strong notice for Cecil B. DeMille’s The Godless Girl (1929), but never really caught on with audiences after that. 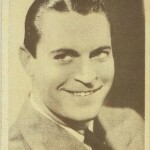 It was in western Pardon My Gun (1930) that Duryea found what would become his best known niche, and he soon reemerged as Tom Keene at RKO, where he’d appear in the five films playing on the 8th: Sundown Trail (1931), Beyond the Rockies, Freighters of Destiny, Ghost Valley, and The Saddle Buster (all 1932), with leading ladies such as Marion Schilling, Rochelle Hudson, Barbara Kent, and Merna Kennedy. Friday, October 10 is a favorite from this month’s schedule, with the beginning of the day given over to 1929-1931 work from First National director John Francis Dillon, before shifting into (mostly) 1929 releases from Sally Blane, better recalled as Loretta Young’s best known sister. The Dillon films begin at 6 am with One Night at Susie’s (1930), an interesting gangster flick starring Billie Dove and Douglas Fairbanks Jr., though carried by Helen Ware. This title has very recently been released on DVD-R by Warner Archive, and I have a copy sitting here that I will be reviewing in detail before the 10th. 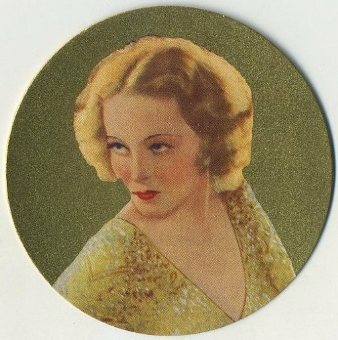 Following at 7:30 am is a rare chance to see Marilyn Miller in Sally (1929), the first of what would be only three feature films starring the Broadway legend. I’m unfamiliar with Spring Is Here (1930), a Rogers and Hart musical that follows at 9:15 am, but am a fan of The Reckless Hour (1931) starring Dorothy Mackaill (with Joan Blondell) at 10:30 am. 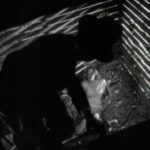 In case you missed it, my friend Danny at Pre-Code.com just covered this one last week. At 11:45 am the day shifts to Sally Blane, and I have to admit not being familiar with any of these four films, so my own DVR will light up for them all. Each of the first three are 1929 releases: Half-Marriage starring Olive Borden, Tanned Legs starring June Clyde and Arthur Lake, The Very Idea starring Frank Craven and Hugh Trevor, followed by 1935s The Silver Streak to finish up the Sally Blane portion of the day beginning at 3:30 pm. On Saturday, October 11 Cass Timberlane (1947) plays at 10 pm, sandwiched between two rightfully better-known films in Stella Dallas, which is the 8 pm TCM Essential, and Ginger Rogers’ Oscar-winning turn in Kitty Foyle (1940), which plays at midnight. Monday, October 13 features a daytime birthday tribute to Laraine Day. Included is a good Mervyn LeRoy gangster movie, Unholy Partners (1941), starring Edward G. Robinson and Edward Arnold at 8:30 am. I’m sure my friends on social media will be hearing from me quite a bit on Tuesday, October 14 when TCM plays 7 movies starring one of my favorites, Richard Dix. There are a few titles mixed in that I still need to see, which is exciting considering how much Dix I’ve watched recently, and one I aim to review on the site before the 14th. The complete schedule begins with silent classic The Vanishing American (1925), which receives a somewhat lengthy “mini-”review towards the top of my Dix biography. It plays at 6:45 am and is followed by Seven Keys to Baldpate (1929) at 8:45 am, Shooting Straight (1930) at 10 am, Stingaree (1934) with Irene Dunne at 11:15 am, The Arizonian (1935) at 12:45 pm, Yellow Dust (1936) at 2:15 pm, and Men Against the Sky (1941) at 3:30 pm. That final title is the one I’ll be writing about, it’s sort of an unofficial sequel to Ace of Aces (1933), a nickname the Dix character carries throughout Men Against the Sky. Later that night is a Joan Crawford favorite, Sadie McKee (1934), with Franchot Tone, Gene Raymond, and Edward Arnold, at 11:15 pm. “Green-eyed monster” is the theme for daytime Wednesday, October 15, with a schedule that includes two titles I’ve previously covered: Our Modern Maidens (1929) with Joan Crawford and Anita Page plays at 9:45 am, and my post zeroes in on the part of the movie where Douglas Fairbanks Jr. does Hollywood impressions. I went into a bit more detail in a more typical review of William Dieterle’s Man Wanted (1932) starring Kay Francis and David Manners. That one plays at 2:30 pm. Interesting and, for me, unfamiliar movies playing during the day on Thursday, October 16 when some early Rod La Rocque titles link into a few starring Steffi Duna. 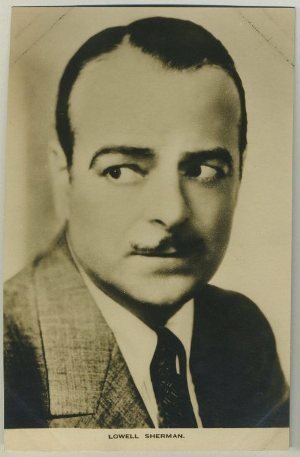 La Rocque was a silent star, best recalled for his breakthrough role in Cecil B. De Mille’s first release of The Ten Commandments from 1923, and for his marriage to silent screen vamp Vilma Banky, which lasted from 1927 until his death in 1969. On the 16th, La Rocque can be seen in early talkies The Delightful Rogue (1929) with Rita La Roy at 11:15 am and starring with Norma Shearer and Marie Dressler in Let Us Be Gay (1930) following at 12:30 pm. He had moved into support by the time of 1936s Hi, Gaucho! 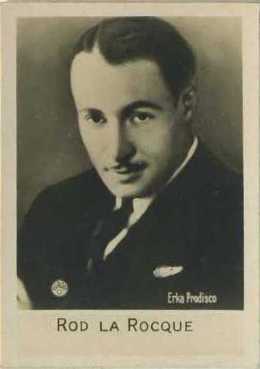 (1936), which plays at 2 pm and links La Rocque together with the next featured star that day, Steffi Duna. The Hungarian born dancer turned actress can also be seen in Red Morning 1935) at 3:15 pm and Panama Lady (1939) at 4:30 that afternoon. In looking for an obituary for Miss Duna, who died in 1992, I discovered the news being broken by none other than TCM’s own Robert Osborne, in a Hollywood Reporter column you can access free of charge HERE. TCM must have some sort of extended agreement with Universal over Paramount pre-Code Hot Saturday (1932) starring Cary Grant and Nancy Carroll: It’s been playing a lot lately, and airs again at 10:30 am Sunday, October 19. Pre-Code and early talkie fans, get your DVRs ready for what I’m calling October’s highlight, daytime Monday, October 20, in which TCM divides the day into mini-tributes to RKO producer William Le Baron, star and director Lowell Sherman, and films with screenplays by Jane Murfin. It’s yet another day of largely unfamiliar titles for me, as I’ve only seen a couple of these and have been especially been waiting on early musical spectacular Rio Rita (1929) with Bebe Daniels and John Boles, plus Wheeler & Woolsey and Dorothy Lee. It’s the second feature that morning, during the Le Baron portion of the day, playing at 7:30 am. Running down the rest of the daytime schedule, Rio Rita is preceded by Night Parade (1929) with Hugh Trevor at 6:15 am, and is followed by Side Street (1929), one which fascinates by its casting of the Moore brothers: Tom, Matt, and Mary Pickford’s ex-husband, Owen, as the three starring brothers in the film. The day continues with Bessie Love in Conspiracy (1930) at 10:30 am; Evelyn Brent in Framed (1930) at 11:45 am; Lowell Sherman with Alice Joyce in He Knew Women (1930) at 1:00 pm; Sherman directs Edna May Oliver in Ladies of the Jury (1932) at 2:30 pm; Sherman stars and directs The Pay-Off (1930) with Marian Nixon at 3:45 pm; Wheeler without Woolsey (but with Dorothy Lee) in Too Many Cooks (1931) at 5 pm; and early Bette Davis playing support in Way Back Home (1931) at 6:30 pm. Busy day! I have a soft spot for the Lassie movies, they play between 6 am and 4:15 pm on Tuesday, October 21. Flipper finishes out the afternoon. Wednesday, October 22 features a Constance Bennett birthday tribute throughout the day. Some pre-Code goodies open the day: Sin Takes a Holiday (1930) at 6:30 am; Born to Love (1932) with Joel McCrea at 8:00 am; more McCrea with great support from Pert Kelton in Bed of Roses (1933) at 10:45 am; and with future husband Gilbert Roland also in the cast of Our Betters (1933) at 10:45 am. Joan Fontaine stars with Charles Boyer in The Constant Nymph (1943) at 7:45 am Friday, October 24 in an appropriately themed day of “May-December Romance.” Cass Timberlane plays again, immediately following at 9:45 am. The second Johnny Weissmuller-Maureen O’Sullivan entry in MGM’s Tarzan series, Tarzan and His Mate (1934) plays late Friday night, October 24 (actually Saturday morning), while the original entry, Tarzan the Ape Man (1932) plays at 12 noon the following Sunday, October 26. 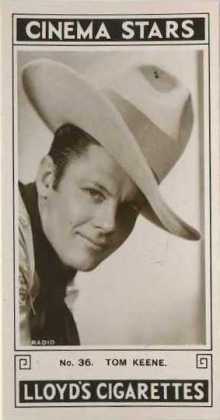 Monday, October 27 features a Jack Carson birthday celebration from 6:15 am-8:00 pm. While Mildred Pierce (1945) at 12:30 pm will be a highlight for many, I love Carson in the two movies immediately preceding it, with Henry Fonda and Olivia de Havilland in The Male Animal (1942) at 8:45 am, and especially alongside Rosalind Russell in Michael Curtiz’ excellent Roughly Speaking (1945), which plays at 10:30 am. I’m recommending a DVR alert on that last one if you don’t know it. 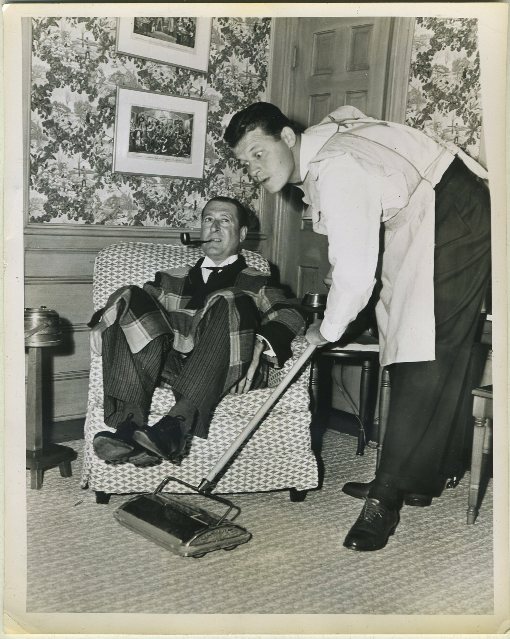 Above: Jack Carson with Arthur Treacher (seated) on mid-1940s CBS radio publicity photo promoting "The Jack Carson Show." Daytime Tuesday, October 28 is themed “Bite Me!” and includes various classic vampires throughout the day, including three of the Hammer Dracula titles featuring Christopher Lee and Peter Cushing. The scares keep up that night with a group of horror anthologies that start out with the first, and best, of the bunch, 1945s Dead of Night at 8 pm. I’m also partial to the pair from Amicus that air more towards morning, The House That Dripped Blood (1971) at 3 am, followed by Torture Garden (1967) at 5 am, early Wednesday morning. 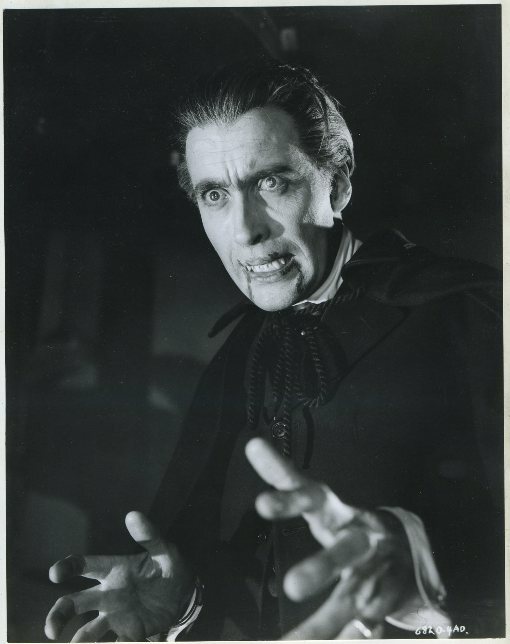 Above: Christopher Lee as Dracula on a still promoting one of the Hammer movies. “Trauma Drama” on Wednesday, October 29 begins with pre-Code essential Night Nurse (1931) at 6:45 am, followed by Ruth Chatterton and Adolphe Menjou in Journal of a Crime (1934) at 8 am. I hadn’t really had reason to mention it until now, but TCM is playing movies under the “Ghost Stories” banner every Thursday evening throughout October. There are some decent titles playing throughout the month, though to be honest I prefer most of the lighter ghost movies that they’re playing, so I didn’t feel a need to point it out. Anyway, the final night of “Ghost Stories” sticks to the darker, creepier movies of that type and begins at 8 pm on Thursday, October 30, which means it runs directly into Friday, October 31s 24-hour Halloween horror marathon. Nothing unusual playing on Halloween with Mark of the Vampire (1935) and The Devil-Doll (1936), playing at 7 am and 8:15 am, probably my favorites of the crowd. Other notables include zombie classic Night of the Living Dead (1968) at 8 pm, Curse of the Demon (1957) at 10 pm, and House of Wax (1953) at 11:45. I may tune in for Night of the Living Dead as it still manages to creep me out, but otherwise I’ll have the old Universal DVDs playing when the trick-or-treaters ring the bell. 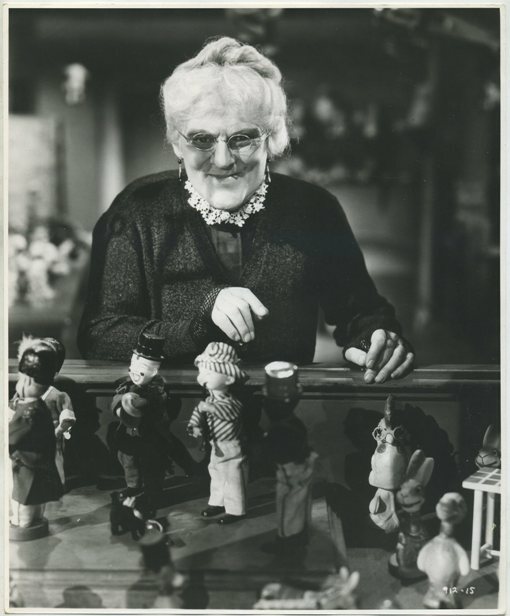 Above: Lionel Barrymore in The Devil Doll on period still photo. For a look at what other bloggers are excited about on TCM in October, be sure to see Kristina's roundup of Classic Film on TV previews for October. I'll have a bit about November on TCM after a few announcements and mentions. Congratulations once again to all of the 2014 CiMBA Award Winners from the Classic Movie Blog Association (CMBA). 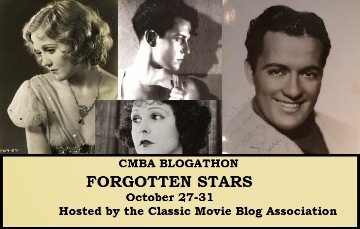 Sticking with CMBA for a moment, the second group-sponsored Blogathon of 2014 is set for October 27-31 and will focus on the theme of Forgotten Stars. 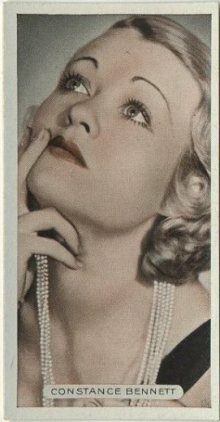 I've selected Helen Twelvetrees, who I've written about quite a bit the past couple of years, with plans to use the Blogathon as an excuse for a single dedicated biography of this favorite. A new podcast about classic Hollywood has premiered since my last TCM preview post. 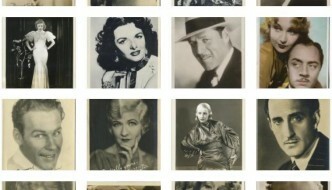 The Hollywood Time Machine is hosted by writer, editor, and film historian Alicia Mayer, with my good friend Will McKinley serving as co-host. The show plays live on Saturday nights, but you can check out the first three episodes in the Time Machine Archives. A great mix of guests, I've enjoyed each of the episodes tremendously so far! 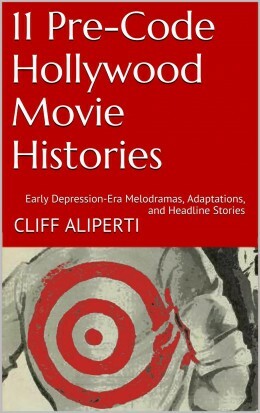 Thank you to all who've purchased a copy of my eBook, 11 Pre-Code Hollywood Movie Histories: Early Depression-Era Melodramas, Adaptations, and Headline Stories , as you've helped make for an exciting couple of weeks. 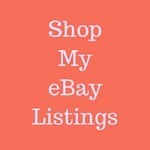 Additional thanks for mentions at Laura's Miscellaneous Musings and Pre-Code.com, plus the recent review at Stardust. 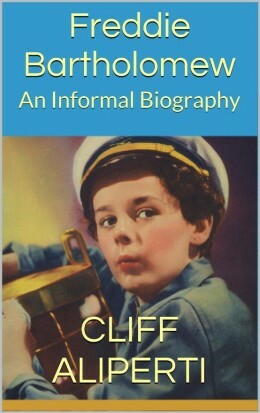 I've also been taken aback by the generosity of so many friends in the classic film blogging community who have helped promote the book across social media, thanks so much! 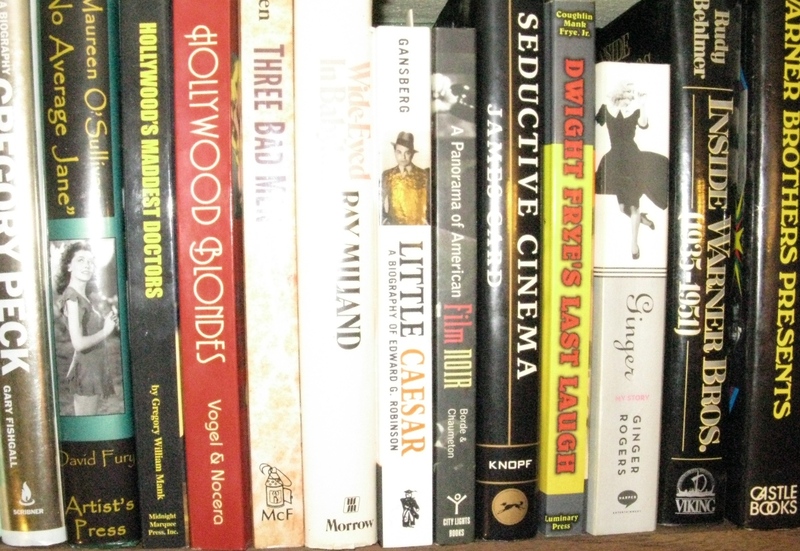 I'm not exactly sure how my schedule will break, but I'm still in the selection phase choosing movies to appear in Volume 2, and have begun researching a couple of the titles that I'm somewhat sure about including. So it will be coming! TCM’s Star of the Month selection for November is an interesting one: “Silent Screen Stars,” which will include movies starring Lillian Gish, Louise Brooks, Charlie Chaplin, Ramon Novarro, Alla Nazimova, Gloria Swanson, and Rudolph Valentino. My only hope is that TCM doesn’t shortchange us on quantity, as I consider myself more of a casual silent film fan, who’s seen many of the major titles and will be looking to broaden my horizons with a few lesser shown titles. Whatever the case, it is nice to have Lillian Gish stare back at me from the back cover of my October Now Playing Guide! The new songs for 1948s “One Sunday Afternoon” by Ralph Blane are totally forgettable. The cast is appealing and game. Dorothy Malone every bit as good as Olivia de Havilland as Amy. Since I adore Dennis Morgan I will not do him the injustice of comparing him to Cagney. It’s just not fair! Don Defore has his mini-Jack Carson routine down pat. Janis Paige always sizzles. The whole thing just does not have the magic of “The Strawberry Blonde”. I don’t know what Warners and Walsh were thinking. Well, sounds better than “painfully dull” at least. Now I’ve just got to see if I remembered to record it! Thanks for critique. I like that cast too. Hey Kelly, thanks for the update. I like the sound of Cozi’s Halloween schedule then, but Get TV seems to be getting repetitive — starting to remind of the old Fox Movie Channel. Just so you know, I edited your comment to fix the Cozi link. The Richard Dix movie is a good one. The first few minutes are a bit tough, but once Dix shows up it moves pretty well. Enjoy it if you give it a chance! OH yeah I saw that movie LONG LONG TIME AGO back in late 1980s on PBS station here don’t ask LOL! I am currenting Virtue with Carole Lombard I can’t watch LA Dodger game thankfully least Carole right now in middle of 7 inning at this posting Dodgers are choke 8 to 6 against Cardinals LOL! I have Unholy Partners marked for rec, I see you mentioning it, and I’m excited for the Dix stuff too, many titles there I’ve never watched. Really like him now, my intro to him via the Whistler movies was a bit bumpy 🙂 Thanks as always for the mention too! Hey Kristina, I updated the link to your October guide. Throw the Edwards in anything, and I’m a fan. I’m really looking forward to Seven Keys to Baldpate with Dix. I finally watched the version with Gene Raymond just recently, though I should probably just pick up the Warner Archive set with them all! Still, fun to have something to anticipate! yes I want to compare that Seven Keys too, one of the gaps in my love of mysteries that I always read about those but only recently saw the Raymond one. Highlights include an entire evening of early animation and Star of the Month Janet Leigh. Horror movies play throughout the month, but not any of the Universal classics. A lot of Hammer though. 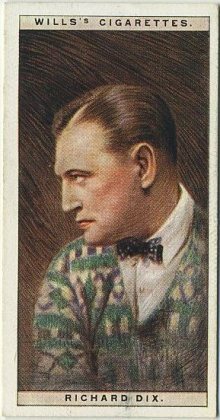 Several early talkies are playing, making for at least a couple of days to be excited about, plus I'll always be enthusiastic about a Richard Dix marathon.